Elvet choir has always played an integral part in the life of the church, maintaining the high standards of a long musical tradition, which is our heritage. When the present building was opened in 1903, the choir sang Handel's Hallelujah Chorus, and a choir was active in the former Wesleyan Chapel, built on land which is now part of the Marriott Royal County Hotel. 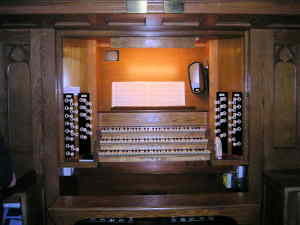 Referring to the introduction of an organ in l840, the Rev'd Thomas Collins wrote: "Not without need, for the choir was the most pitiful I ever knew". Happily, things improved. Our present Minister, the Rev'd Shaun Swithenbank is very supportive of the choir, and sings with us when he is able. Shaun’s wife Jane is also a choir member. We rehearse in church on Sunday mornings, from 9.45 a.m. till 10.30 a.m., preceding the morning service. We have a wide repertoire of music, ranging from renaissance motets through to works by contemporary composers. We join with St Oswald's Parish Church choir to sing for the annual Covenant service, and on other occasions, and we sometimes form the nucleus of a 'Circuit Choir'. The latter comprises choirs within the Durham and Deerness Valley Circuit of the Methodist Church, which sing at circuit services and festivals. Elvet choir is directed by Brian Tanner and Hilary Phillips, and works well, both musically and socially. 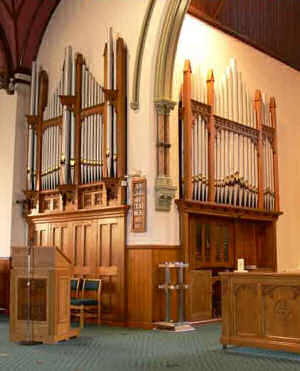 Organists wishing to use the instrument for practice or to volunteer to play occasionally for services, weddings or funerals should get in touch with the Organist, Professor Brian Tanner.